Gabriel “Gabe” Galanda was honored with the “Difference Maker Award” by the American Bar Association at the Fall Leadership Meeting and National Solo & Small Firm Conference in Seattle on October 12, 2012. Gabe, an enrolled member of the Round Valley Indian Tribes of California, was honored for his twelve years of bar leadership and pro bono service, primarily in helping recruit more Native American lawyers to the profession in the Pacific Northwest through scholarship fundraising; promoting mainstream legal understanding of Indian legal issues through state bar examination in Washington and elsewhere; and leading the effort to restore the religious freedoms of Native American prisoners in Washington State (See “Native Son,” Bar Bulletin, August 2012). Washington Supreme Court Justice Steven Gonzalez, King County Superior Court Judge Mary Yu, and U.S. District Court Bankruptcy Judge Karen Overstreet were also named Difference Makers by the American Bar Association (ABA) – the country’s largest voluntary association of lawyers, with over 400,000 members, with a stated mission of “defending liberty and delivering justice as the national representative of the legal profession." Gabe recently authored a widely discussed article, “Off-Color State Judicial Elections: Voting and Race” in Washington State (Bar Bulletin; Crosscut). He currently sits on the National Native American Bar Association (NNABA) Board of Directors, chairing the group’s “Include Indian Law on State Bar Exams” Initiative, and co-chairing its “Increase Natives and Tribal Court Judges in the Judiciary” Initiative. He is a founding Partner of Galanda Broadman, PLLC, an American Indian-owned law firm with office in Seattle and Bend, Oregon, dedicated to advancing tribal legal rights and Indian business interests. Gabe’s practice focuses on complex, multi-party litigation and crisis management, and economic diversification and tax strategy, representing tribal governments and businesses and Indian citizens. He also serves as a tribal appeals court and administrative law judge, and mediates and arbitrates Indian Country-related disputes. 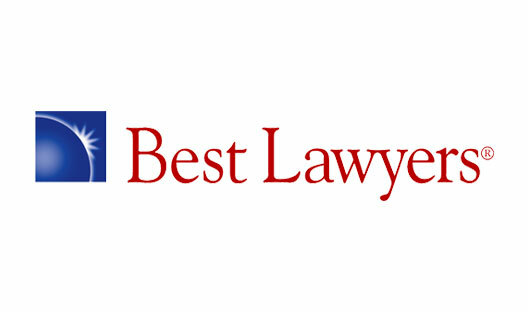 Selected to The Best Lawyers in America® from 2007 to 2013, Gabe was also named as one of the best lawyers in Washington State by Puget Sound Business Journal in 2011. He was named to the Puget Sound Business Journal’s “40 Under 40” list, as well as to the National Center for American Indian Enterprise Development’s “Native American 40 Under 40” list in recognition of his status as an emerging leader in the legal industry, in 2009. Washington Law & Politics/Super Lawyers magazine named Gabe a “Rising Star” for ten of the last twelve years, most recently this year, and Washington Law & Politics named him one of Washington’s four Leading Edge Litigators in 2003. In 2004, he was awarded both the Washington State Bar Association Young Lawyers Division’s Outstanding Young Lawyer Award, and the Northwest Indian Bar Association’s Native Justice Award. Gabe was born and raised in Port Angeles, Washington. In 1995, he received his A.A. from Peninsula College, where he served as Associate Student Body President. He received his B.A. in English Literature from Western Washington University in 1997, and his J.D. from the James E. Rogers College of Law at the University of Arizona in Tucson, in 2000. At Arizona, he served as President of the Native American Law Students Association. Newer PostRob McKenna: Tribal Friend or Foe?